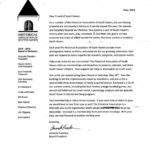 – Download or print out an order form, fill it out and mail it to HASH with your check or money order. Printable Order Form. 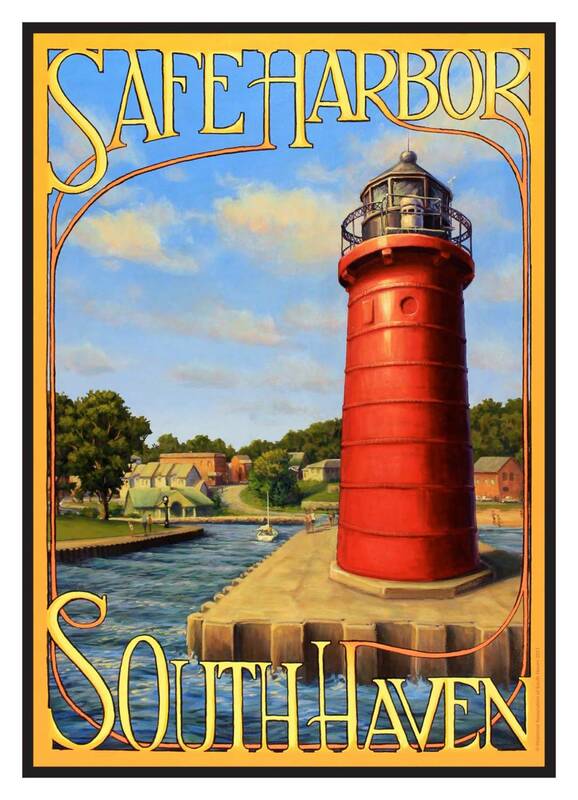 2017 HASH poster, Safe Harbor South Haven, was produced from a painting conceptualized by HASH and executed by Conrad Kauffman. 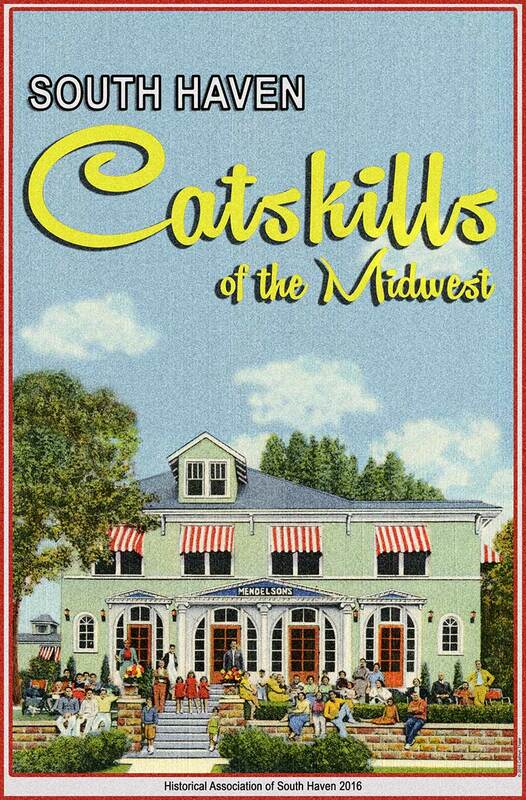 2016 HASH poster, Catskills of the Midwest, was produced using an antique postcard. 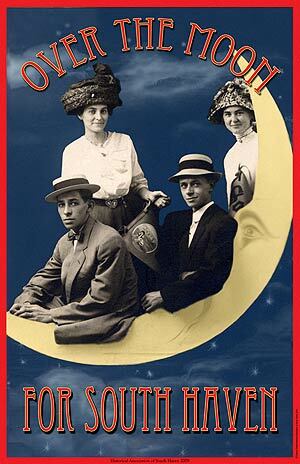 2015 HASH poster was produced using a 1906 promotional brochure cover. 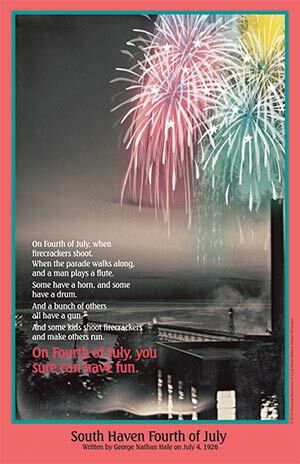 2014 HASH poster featuring the 4th of July fireworks in South Haven and a poem by George Nathan Hale from 1926. 2013 HASH poster featuring the old casino that used to be in South Haven. 2012 HASH poster. 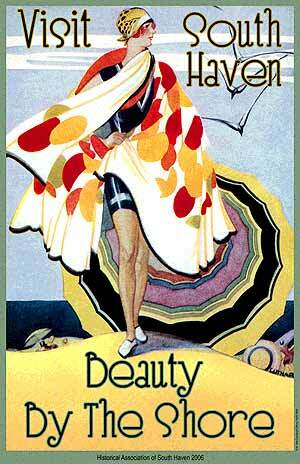 Designed by Wendy Anderson Halperin in an endearing style just for HASH. 4 1/2″ x 6″ cards. Package of 5 cards w/envelopes, designed by Wendy Anderson Halperin for HASH. 4 1/2″ x 6″ cards. Package of notecards that contains one of each of five of our most popular cards w/envelopes. 4 1/2″ x 6″ cards. Package of 6 cards w/envelopes, one of each, and a portion of the proceeds go to the elementary art program in South Haven schools. 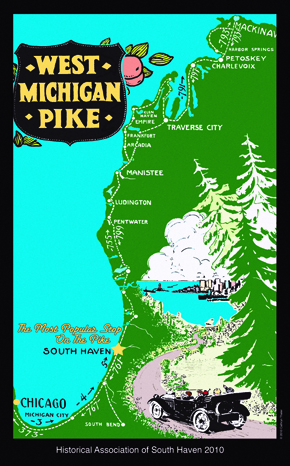 2010 HASH poster celebrates the “West Michigan Pike”. 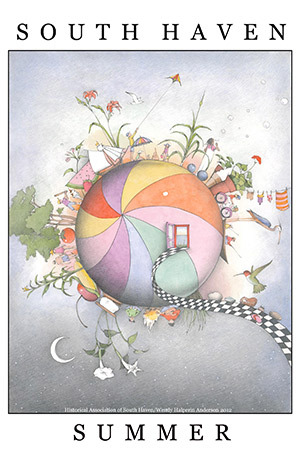 Official 2009 HASH poster created by Cathy Thaler for the Historical Association. 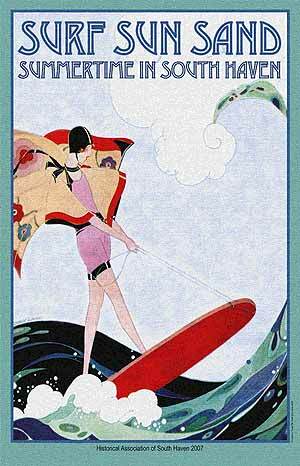 The image for this poster was taken from an early advertising brochure. Created by Cathy Thaler for the Historical Association. 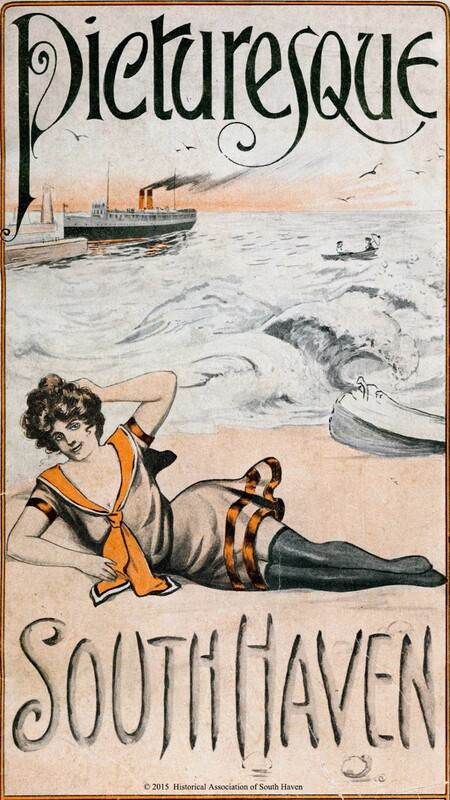 This poster was reproduced from an early advertising brochure for South Haven. 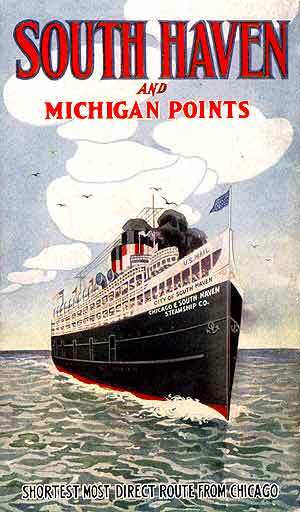 This poster was reproduced from an early advertising brochure for South Haven. It also graces the cover of the walking tour booklet, but not in full color detail. Reproduced from early brochure. 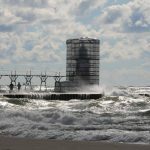 Celebrates South Haven’s illustrious steam ship days. 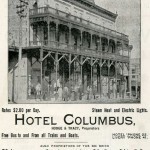 Reproduced from early brochure. 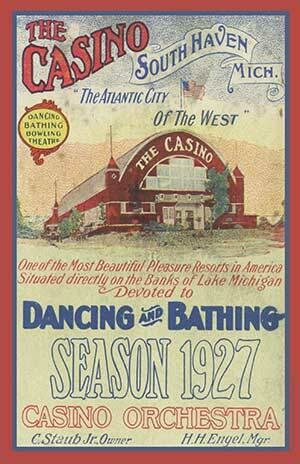 Features the casino that used to entertain South Haven back in the 1930’s. 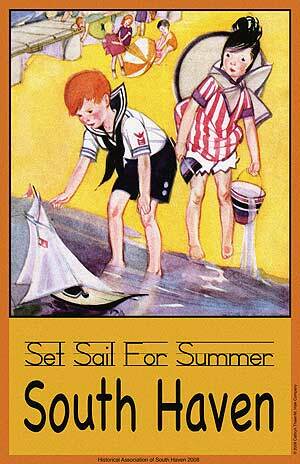 Reproduced sheet music cover for the song, “I’m Going Back To Old South Haven” by Orley Johnston. 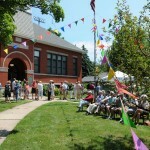 Chamber of Commerce publishers. 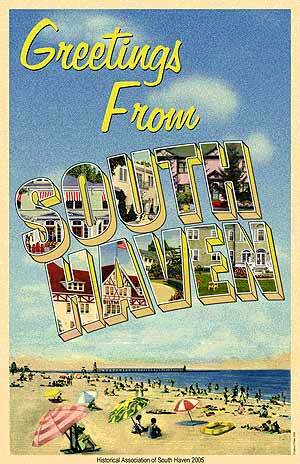 Greetings from South Haven on the “Catskills” poster background. 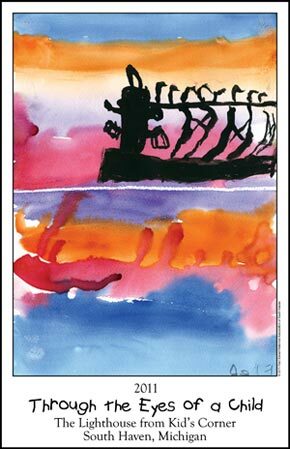 Produced for HASH by local artist Cathy Thaler. 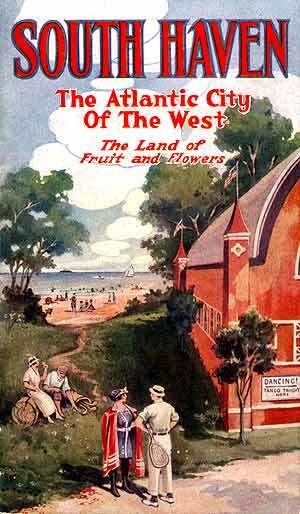 A children’s history book of South Haven by Marie Dissette and Kathleen Onofrio. 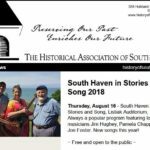 Published by the Historical Association of South Haven. Shipping fee for multiple books (or with posters) in an order to the same address will be charged additionally for each one. 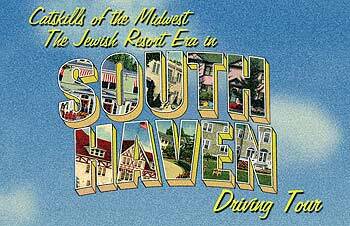 The driving tour features a center fold map of the South Haven area showing the locations of 42 former Jewish resorts with pictures and a short history of each one. 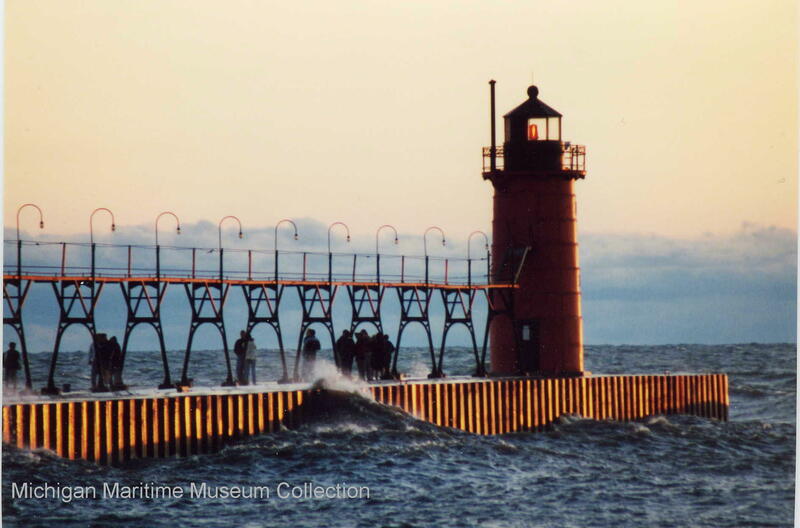 Historical walking tour of South Haven, from the lighthouse to the bridge. Map, vintage photos, points of interest.